Aspire Family Mediations Mediators are in Amersham. Contact us today to arrange a call back for any enquire about mediation or to book an assessment! Our office in Amerham is ideally located if you live in Chesham, Chalfonts, Gerrards Cross or High Wycombe. We place children at the heart of the mediation process. If you are going through a divorce you will want to make sure that your children’s needs come first. We explain to children what the mediation process involves and can offer them access to sources of support, if this is required. During mediation we also take the time to explain to children what is happening, encouraging them to talk to their parents about the decisions that their parents are making. Mediation is not counselling or therapy, but unlike a fraught court case, it can involve children from beginning to end. In our experience, our service means that children feel more control over the process if they are told about mediation. Divorce inevitably causes children to reflect on their future, but by using our mediation services, children can feel like they are part of the decisions that are being made. There was no issue of any confusion during my separation process, thanks to mediators from Aspire Family Mediation who gave us all the required information throughout the mediation. Family mediation Amersham can help with solutions when you are separating and divorcing and need to have a conversation with your ex partner but this cannot be done due to arguing or disagreement. 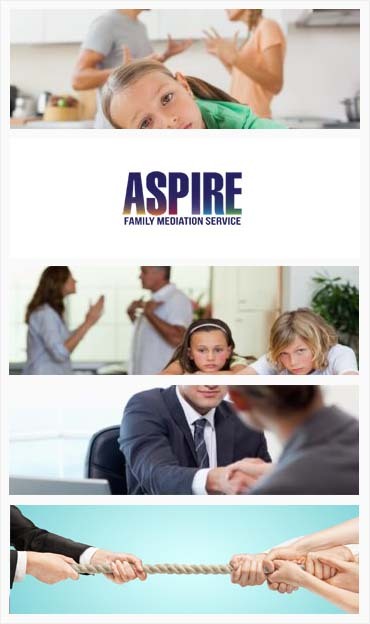 Aspire family mediation Amersham can facilitate that conversion and help you find solutions around children and finances to help you both move forward. With mediation you are in contol of all decision making and the timing of decision etc all are yours. Mediation is a cost effective way of sorting out issues and help you move forward and plan the future for you and your children. I will always be happy for the superior services of Aspire Family Mediation. I am so impressed with their work that now I have started referring their name to anyone to who needs a family mediator.